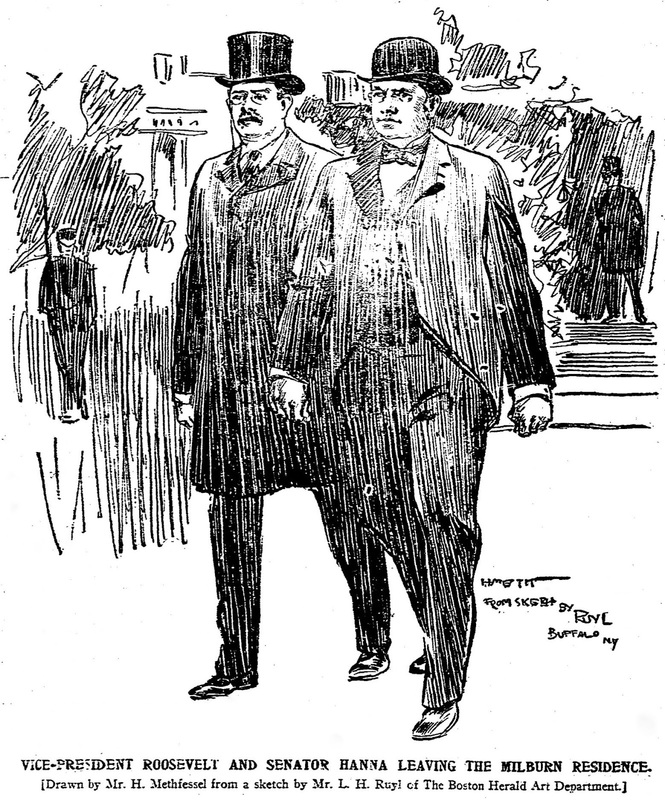 Thursday, April 2 1908 -- The big Memsic-Brock fight is tomorrow night, and Herriman visits young Brock's training camp. Apparently George is impressed with the 19-year old fighter, who seems to be playing pretty hard with his sparring partners. In weazel skin hat news, yet another guest vamooses, taking mystery guest #13 along in his wake. Copyright (c) renewed 2013, Russ Morgan. All rights reserved. Adam Chase strip #7, originally published July 17 1966. For background on the strip and creator, refer to this post. Herman Methfessel was born in Great Kills, Staten Island, New York, in October 1873. His birth place was identified in The Sun (New York), December 18, 1912, and 1900 U.S. Federal Census recorded his birth date. In the 1880 census he was the oldest of four sons born to Herman, a bookkeeper, and Anna. They lived in Middletown, Staten Island. The World, May 13, 1893, published the names of art students who received prizes at the National Academy of Design. In Life School, Methfessel received the silver Suydam medal; in both Composition Class and Painting Class he was awarded 40 dollars each from the Hallgarten School Prize Fund. According to the 1900 census, he married Mary in 1899 and they lived in Manhattan, New York City at 425 West 43 Street. He was an artist who contributed illustrations to magazines including St. Nicholas. His son, Herman, was born November 23, 1900. In the 1904 Brooklyn Directory, his home address was 322 Hawthorn, and his office address 61 Park Row in Manhattan. For the New York Evening World he produced Bill Hustle of Harlem, from April 20 to September 11, 1907. The following year, his strip, Kitty Yeow, ran in the Boston Traveler, according to American Newspaper Comics (2012). 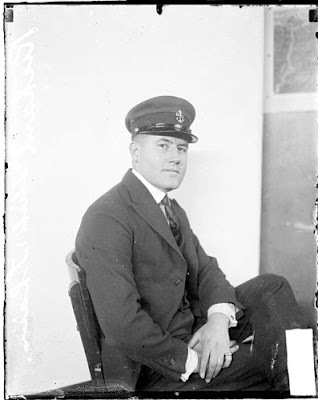 His home address was the same in the 1910 census, and he continued as a newspaper artist. The Return of Caroline (1911) was published with a frontispiece by him. Herman Methfessel, who had been a staff artist of the World since 1901, died at his home in Great Kills, Staten Island, yesterday, after an illness of five months. Mr. Methfessel was born at Stapleton, Staten Island, thirty-nine years ago. He was educated in the public schools and after he graduated he studied art in the National Academy of Design. He was one of the first of the high class artists to make newspaper illustration a profession in itself. His last work for the World was illustrating the Chicago and Baltimore conventions. Before joining the World Mr. Methfessel was on The Sun and the Herald. His work also appeared in the leading magazines. Here we have a comic strip series that poses more questions than it answers. First of all, I don't know why our excitable, blustering hero in this cartoon is associated with Harlem. Were people in Harlem at the turn of the century particularly in a hurry? Or is Bill Hustle hailing from Harlem so that he has a reason to have a commute into the city. I dunno. The weekday series ran from April 20 to September 11 1907. However, those of you who really know your comic strips are saying right now, "that Holtz fellow is full of hooey -- the Evening World didn't run strips in color, and besides, any fool could see that the lettering of the title is in the style associated only with the Chicago Tribune of that period." Well, right you are, my wise friend. 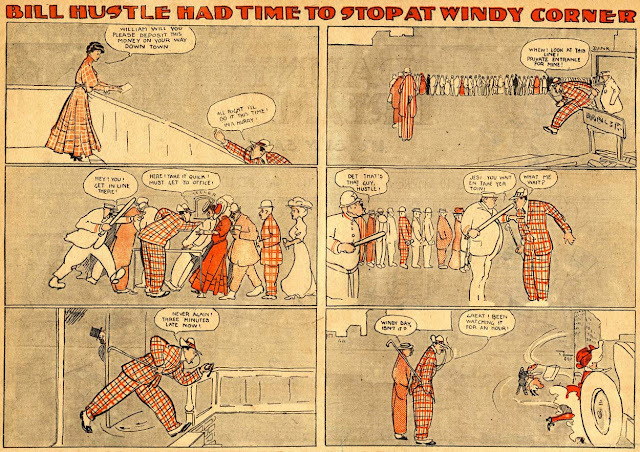 The reason is that our samples are indeed from the Chicago Tribune, where some strips from the World series were reprinted in the Tribune's Sunday comics section, with color added, from August 27 to October 25 1908. The "of Harlem" portion of the strip title was, of course, dropped for the reprint series. 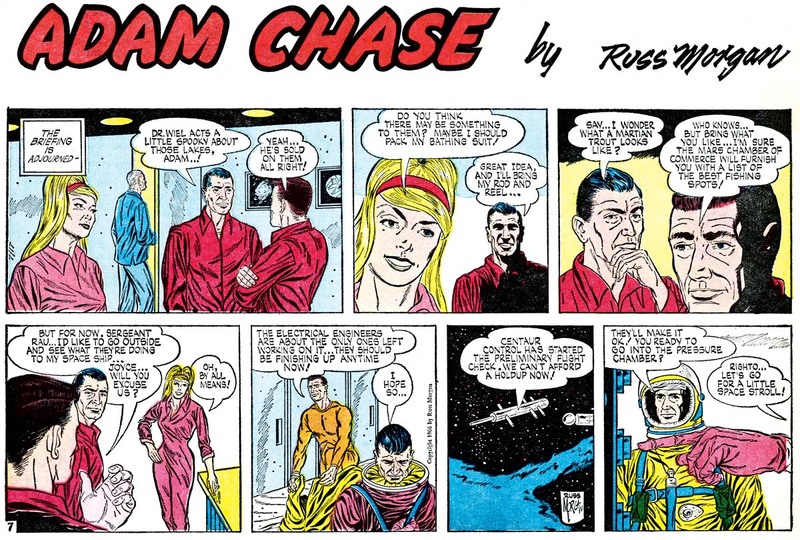 The Tribune used several Evening World strips in this way in the late oughts, and I have no idea how this unusual reprint scheme came about. 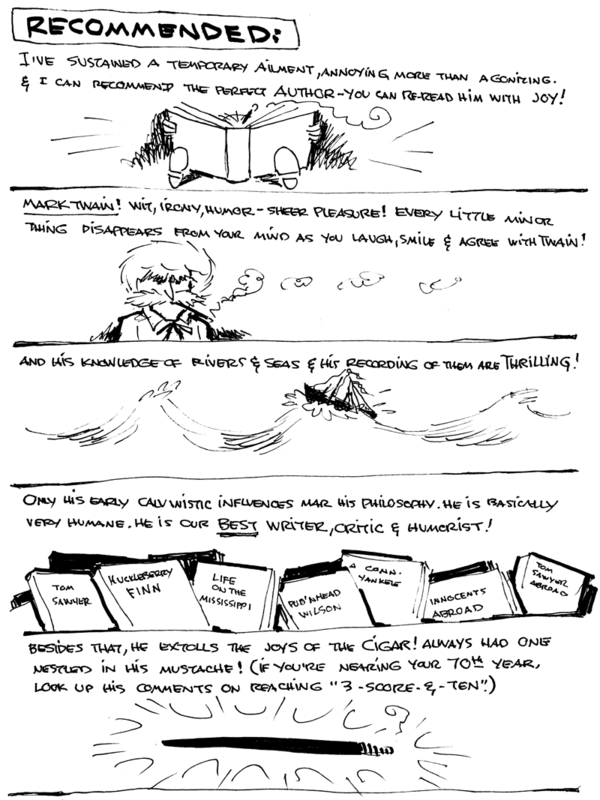 Why Pulitzer wouldn't have simply offered them regular Sunday strips like any other paper I can't fathom. One thing I'd bet on, though -- Mr. Methfessel didn't get any reprinting royalties! At the turn of the 20th century, Harlem was still known as a white, middle class-to-upscale commuter neighborhood. Hello, Allan-----Somehow the by-then lowly INTER-OCEAN got the contract for the Pulitzer Sunday comics in Chicago, and the TRIBUNE had to make do with their daily strips. The TRIB blew up and put empty spaces in them in order to re-fit them to half page size, the result looking like the reworked halves and tabloid sizes of the 1930's. Ah ha! Perfectly sensible reason, once it's been pointed out. Thanks Cole! In the 1900 U.S. Federal Census, he was the second of six children born to Richard and Emma; his father worked in advertising. They lived in Cicero, Illinois. Information regarding Thain’s education and art training has not been found. He produced cartoons for the Chicago Daily News. His comic strip, Lord Longbow, began May 13, 1907. In 1909, he drew two days of Circus Solly for George Frink. The 1910 census recorded him in Oak Park, Illinois at 210 Home Avenue, where he lived with his parents, older sister and aunt. He was a newspaper artist. His father, a real estate salesman, passed away November 26, 1912. According to the Cook County, Illinois Marriage Indexes at Ancestry.com, he married Elizabeth G. Slocum on October 19, 1915. He signed his World War I draft card on June 5, 1917. He lived in Evanston, Illinois at 128 Main Street. A Chicago Daily News cartoonist, his description was medium height and build with brown eyes and hair. His first child was born in July 1917 and lived two days. The Rockford Morning Star (Illinois), September 27, 1927, said he was the publicity director of Carson Pirie Scott and Company, and had been on the Chicago Daily News staff for ten years. The Daily Northwester (Evanston, Illinois), August 25, 1929, identified him as the advertising manager of Carson Pirie Scott. Thain was at the same address in 1920, and was an assistant advertising manager for a general merchandise company. A 1922 Evanston Directory listed him at 2646 McDaniel Avenue. In 1924, he filed an application for membership in the Illinois Society of the Sons of the American Revolution. He was the maternal great-great-grandson of Lieutenant-Colonel Nathaniel Emerson. His mother’s name was Mary Metcalf Jenness. The 1927 directory had him at 2407 Hartrey Avenue. The 1930 census recorded the Thain family of five (three sons) at the same address. He was an advertising manager. His mother passed away June 3, 1939. Mrs. Elizabeth Thain of Evanston, Ill., who died unexpectedly at Evanston Hospital Sunday at the age of 56, was the mother of Richard J. Thain [Jr.], assistant editor of The National Underwriter and editor of the “Insurance Exchange Magazine”. There are two other sons and her husband, Richard Jenness Thain of the advertising department of Butler Bros.
Thain passed away August 26, 1964, in Evanston, Illinois, according to a family tree at Ancestry.com. George Frink is another one of my favorite cartoonists -- a guy who produced prodigiously and always sought to create something original, rather than just ripping off the other guy's ideas. In Sammy Spankem, one of his later weekday series at the Chicago Daily News, he takes some hoary concepts and stirs them all together into something different. By 1908, when this strip debuted, people were quite familiar with the various comic strip kid types -- you had the bullies, the prank-pullers and the nancy-boys -- and among fathers you had the mean ones, indulgent ones, and the generally clueless sorts. Frink takes a sort of a nancy-boy type kid, but makes him into an unwitting prank-puller. In complete innocence Sammy asks his clueless father for something, in which father invariably indulges him -- then the prank comes off, getting the father conked, robbed or what have you. Finally, in an unexpected turnabout, clueless indulgent daddy whales the tar out of the kid because he can't see that he was to blame for his own troubles by indulging the boy. Although the concept is original, Frink probably ran with it too long; over five years. However, part of Frink's amazing ability was to keep a very simple idea fresh. As you can see from these 1912 examples, Frink can still do a funny turn on the concept. Sammy Spankem first appeared on March 7 1908, and has the distinction of being Frink's last published series strip on September 13 1913, other than a very short stint at World Color Printing in 1915 (which was likely just reprints or leftovers from years earlier). As with his other Chicago Daily News strip, Frink was occasionally spelled by other cartoonists. 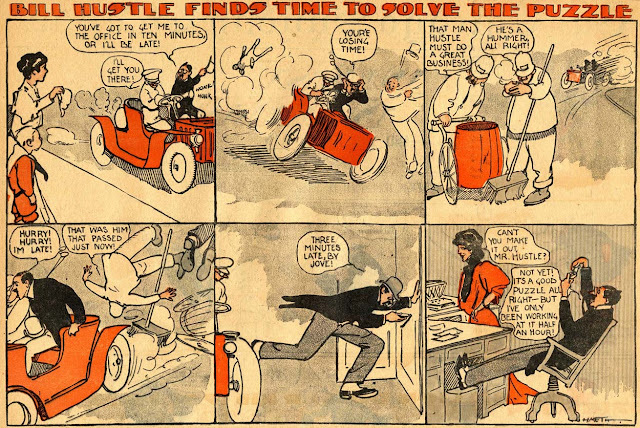 Richard Thain contributed a single strip in 1909, R.B. Fuller one in 1910, and someone who signed himself 'Fitz' did a few strips in 1912.